The gang heads to a ski lodge, where Fred breaks his leg while being chased by a snow creature and Velma gets a terrible cold. 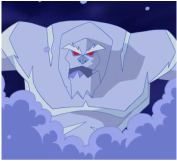 The gang must solve the mystery without Fred's leadership and Velma's brains, and capture the snow creature before he continues hurting people. 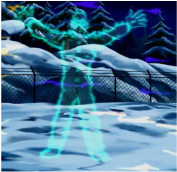 - Shaggy's lower jacket turns brown when he asks who has been controlling the Snow Creature. 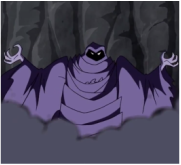 - Chris Klug's face disappears when he flips the first time. While visiting NASA, an alien egg hatches, releasing a creature from another planet. The gang has to stop the alien before the mission is permanently aborted. 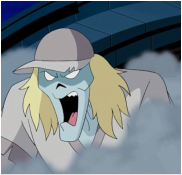 - Two of the scientists in the background strongly resemble Professor Ingstrum (from Where Are You, "Scooby's Night with a Frozen Fright") and Dr. Jekyll (from Where Are You, "Nowhere to Hyde). - Fred loses his eyebrows when says Janet works for E.T.I.S. - The subtitles for this episode have several typos. Dinkley is spelled with the 'e' and Elliott Blender is named "Elliott Blinder." The credits also mistakenly credit the latter by this name. The gang visits Costa Rica and meets famous Australian adventurer Melbourne O'Reilly, who is at the museum to watch the same film the gang is watching. 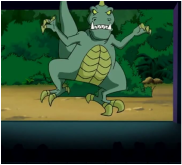 During the film, a dinosaur jumps out of the screen and starts attacking the museum guests. - The dinosaur roar used in the same one used in Jurassic Park. 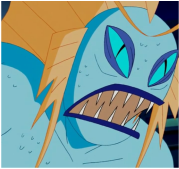 - Daphne's lipstick erroneously disappears when J.J. Hakimoto introduces the film. During Mardi Gras, Daphne is kidnapped by the spirits of two civil war ghosts, and the gang must find her before it is too late. One night, when Shaggy and Scooby are returning from the movies, they see the Mystery Machine driving by itself. 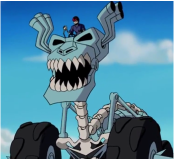 - The beginning of this episode shows Shaggy and Scooby walking home from Astro: Space Dog of the Future. 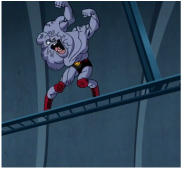 This is not only a reference to The Jetsons' dog, but also to the very first episode of Scooby-Doo, "What a Night for the Knight." In the original episode, Scooby and Shaggy also walk home from the movie Star: Dog Ranger of the North Woods. 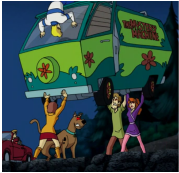 - When Shaggy and Scooby are chased by the Mystery Machine onstage, the spare tire falls off the van. However, it reappears in a matter of seconds intact on the van. - Randy's vest changes color when he tells the gang to find a mechanic. - When the Mystery Machine traps the gang in the alley, the top and bottom colors switch places before returning to normal. 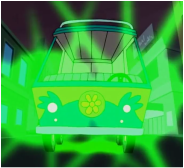 - When the Mystery Machine makes an appearance at the seance, the top of it is erroneously colored green (instead of blue). - The chase song for the episode, "I'd Do Anything," is the only episode to chart on the Hot Billboard 100 as it was airing. It was at #51 when the episode first aired. The gang wins a trip to Las Vegas to meet pop star Lindsay Pagano, but they must solve the mystery of the ghost of Rufus Raucous, a former magician, when Lindsay is nearly crushed by a falling speaker dropped by Raucous's ghost. - Rats: The Musical is a parody of Cats: The Musical. - Lindsay Pagano guest stars in this episode. - When Shaggy helps Fred out of the magical cabinet, his eyebrows turn brown for several scenes before turning back to the correct black color. The gang goes to an amusement park to meet two great roller coaster designers named Chris and Terry, but their fun is soon ruined when a ghost begins sabotaging all the rides. 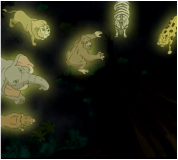 The gang goes on a safari, but end up having to save Scooby when all the animals begin turning a strange yellowish color and Scooby disappears. - Joan Goodfew is a parody of Jane Goodall, another animal scientist. 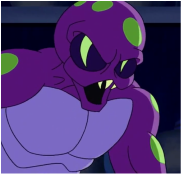 - Shaggy hums "It's a Rad, Rad World" in the intertube, a reference to the chase song from the first episode of the series. 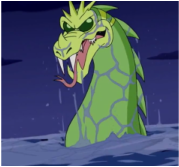 While on a time share, Daphne takes the gang to a beautiful island, where a sea serpent is scaring all of the islanders away. A trip to a town where the residents are afraid to celebrate Christmas leads to a mystery involving a snowman with no head. The gang tries to solve the mystery for the townspeople, and especially for a little boy named Tommy who's Christmas has been ruined because the Headless Snowman destroyed his house. 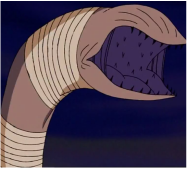 - Cartoon Network refers to this episode by the alternative title of "Ho Ho Horrors!" 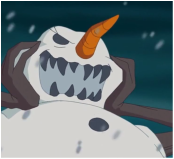 - The Headless Snowman references The Wizard of Oz when he says "I'm melting, I'm melting! Oh, what a world!" - This is the second episode in the entire history of the franchise to air on a day other than Saturday. The gang visits a toy store to pick up a Spaceman Swinton doll, but realize that they are in over their heads when every toy in the store comes alive. - The title is a parody of Toy Story 2. - Acy's Department Store is a parody of Macy's. 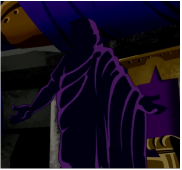 A faceless phantom begins haunting the set of the remake of "Spy Me A River" to try to prevent the remake of the movie. 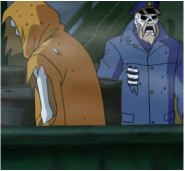 The gang tries to investigate the phantom and why all the scenes being filmed are being sabotaged. - The Modem is a probable parody of the hit movie The Matrix. - Closed-captioning devices erroneously call Rip by the incorrect name "Rick." While visiting scenic Italy, the gang runs into a gladiator zombie in Pompeii. To make things even worse, volcanoes have begun erupting again and the gang must figure out if those two things are connected. - The title is a parody of the song "Pomp & Circumstance." ​The gang goes to a baseball field to watch Luis Santiago try to break Cab Craig's home run record, but they have to solve a mystery when the ghost of Cab Craig returns and tries to stop Luis from breaking his record. - The title is a parody of the Baseball film "The Natural." Velma and her new invention DogBot win the gang a trip to Tokyo, Japan. 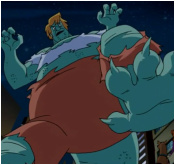 When they arrive, Shaggy eats a cursed pizza, causing him to turn into a monster at night. - The title is a parody of the film Big Trouble in Little China. 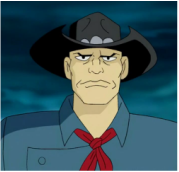 - Takamoto Studios is a reference to Iwao Takamoto, the co-creator of Scooby-Doo. 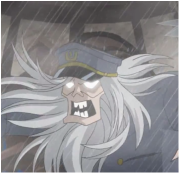 - Professor Pomfritt may be a thinly veiled reference to Leander Pomfritt, a character from The Many Loves of Doby Gillis (which elements of the original Scooby-Doo show were based on). 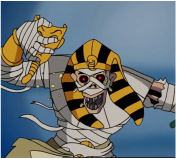 The gang visits Egypt with Melbourne O'Reilly, only to run into the mummy of an ancient pharaoh who has the power to turn people into mindless zombies. Fred signs up the Mystery Machine to be in an off-road race, which is full of weird worshipers, creepy car racers and a giant worm that is out to try to end the race. - The title is a parody of the film series The Fast and the Furious. The gang goes to a fair with items from the projected future, and they visit a house of the future. After Daphne disappears, the gang must find her while navigating the house, which seems to have taken on a mind of its own. 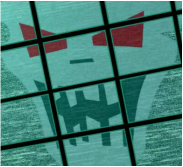 - An alternate title for this episode is "High Tech House of Horrors." 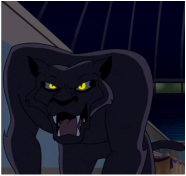 - When Fred opens the bathroom (where J31 v2.3 was trapped), his collar turns the same color as his shirt. 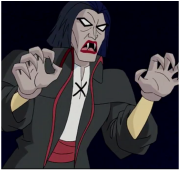 The gang visits The Hex Girls in Fortescu Castle, only to find they are breaking up the video shoot because a vampire is haunting the castle. 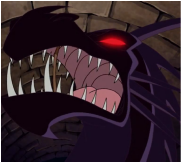 - Thorn's eyes mistakenly turn black for a brief moment, but then quickly return to their normal tone of green. 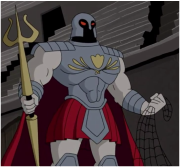 -Grey DeLisle is mistakenly credited for "Wormian #1" in the credits, which was from two episodes ago. Presumably, the credit template may have been copy-and-pasted and someone forgot to remove it. 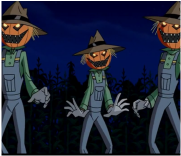 Velma visits her Aunt Megan and Uncle Evan for Halloween night festivities, but jealousy between Daphne and Velma's cousin Marcy, a creepy legend and ghostly scarecrows threaten to ruin the holiday spirit of the night. - Banning Junction is a real town in Minnesota near the town of Anoka. However, Banning Junction is just a small town, whereas Anoka is the "Halloween Capital of the World." - This episode has a laugh track. 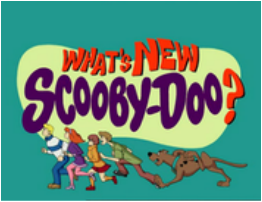 ​Scooby is dognapped by two kidnappers at a dog show, and the gang must find him while dodging a cat creature. - A dog with a strong resemblance to Scooby-Dee appears when the gang first arrives at the dog show. 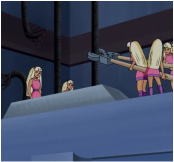 - Shaggy's leg turns the color of Daphne's leggings very briefly. The gang, with the help of famous skateboarder Ryan Sheckler, has to solve the mystery of an escaped inmate's phantom haunting the Grind Games where Ryan is skateboarding. - Skateboarder Ryan Sheckler guest stars in this episode. The gang meets famous rock band Simple Plan, and they both stay in a nearby town after their vans are wrecked in an accident. In the town, Simple Plan is attacked by an invisible man who is out to get the band. - This episode guest-stars Simple Plan. - The lettering on Groupie Monthly magazine switches from black to yellow. - When David is kidnapped by the Invisible Madman, he is briefly shown to be walking with the gang erroneously, before Chuck correctly appears in his place. 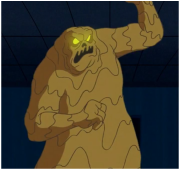 Scooby and Shaggy's dream trip to the Scooby Snack Factory is ruined when a monster covered in Scooby Snack batter begins attacking the workers. 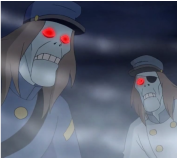 - This episode vaguely parodies Charlie and the Chocolate Factory. - Penelope's feet are tied together in the flashback, but when the gang finds her, they were not tied together. The gang attends a Scotland Renaissance fair where a dragon is terrorizing everyone. - Glasburgh is a mash-up of two famous Scottish cities Glasgow and Edinburgh. Scooby and the gang go to Antarctica to return Little Pete, a penguin that Scooby took care of at the zoo, back to his natural habitat. 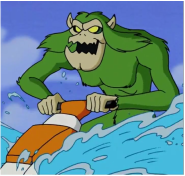 Along the way, a fish monster attacks the gang and tries to disrupt the gang's journey. 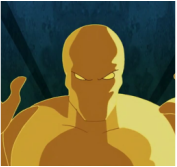 - Armand Zola is a parody of Armin Zola, a Marvel comic character who transfers his mind into robots to avoid death. 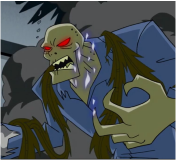 - Daphne's arm disappear when Fred finishes his explanation of the trap. 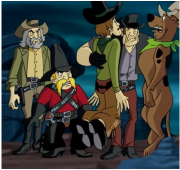 Shaggy and Scooby take the gang to a Native American reservation to meet his friend Jimmy Proudwolf and his dog Shooby. 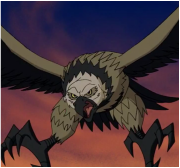 When a giant bird kidnaps Daphne and steals Shaggy's Scooby statue that he was going to enter in a contest, the gang must climb a mountain to get Daphne and the statue back. - Wile E. Coyote and Road Runner appear in this episode briefly. One of the rare birds on Avery's checklist is Tweety Bird. - One of the Indian chiefs in a pictograph bears a strong resemblance to Fred Flintstone. 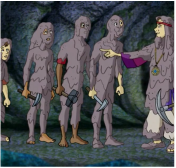 The gang goes to Greece where Shaggy picks up a mysterious amulet that he believes will protect him from an evil centaur, despite that it actually appears to attract the creature. When the gang visits Fred's uncle in Wisconsin, they run into the mystery of the Creepy Keeper, a ghostly lighthouse keeper who is trying to keep people away from his old lighthouse. 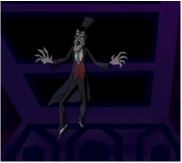 - The Creepy Keeper is included in the LEGO Haunted Lighthouse set. 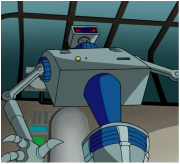 The gang goes to a robot ranch, Cyber Gulch, where technology makes everything seem perfect...that is, until a gang of robot bandits begins causing havoc. - This episode vaguely parodies Westworld. The gang returns home only to find that teenagers are disappearing from local date hangout Lover's Lane. When the gang finds a confession letter with their signatures on it confessing to the kidnappings, they are thrown in jail and must clear their names to stop the real kidnappers. - J.C. Chasez guest stars in this episode. - Daphne's comment about Sarah Michelle Gellar is a reference to the actress portraying Daphne in the first two live-action movies. - (Spoilers!) 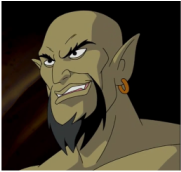 The unmasked look-a-like versions of the evil gang all look very similar to the characters' respective voice actors. The gang goes to a wrestling arena where the ghost of former wrestler The Titanic Twist is haunting. 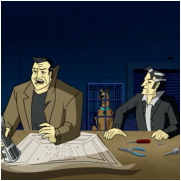 - This is the second episode of the franchise to be titled "Wrestle Maniacs," the first being episode 24 of A Pup Named Scooby-Doo. - The sign on the glass changes from "do not tap on the glass" to "do not touch glass" when Shaggy and Scooby hide from the Titanic Twist. Daphne must save her model cousin Danika after she is captured by a gargoyle on a Paris modeling shoot. 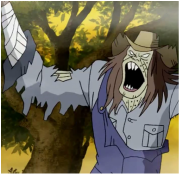 The gang once again meets up with Mr. B and the Secret Six puppies up at their farm, where a demon farmer is terrorizing. - Neville Poppenbacher is a parody of the famous popcorn brand Orville Redenbacher. - During the face-off between the Demon Farmer and Fred, the Mystery Machine's tire briefly turns green (instead of orange). 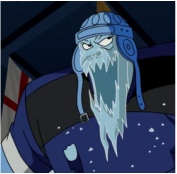 Velma takes the gang to see the US hockey team compete against Russia for the Emperor's cup, but a weekend of fun soon turns into a mystery when a ghoul called the Frozen Fiend steals the cup. - Tsar Nicolai II is a parody of Tsar Nicholas II. The title is a parody of the famous Broadway song "Diamonds Are a Girl's Best Friend." 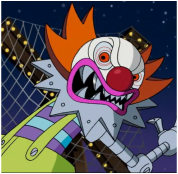 When Shaggy's mini-golf tournament is cancelled due a giant clown, Shaggy suddenly becomes brave to try to save the competition. Meanwhile, Velma takes on the Shaggy's cowardly role due to her extreme fear of clowns from an incident during childhood. - Taylor Lautner guest stars as Ned in this episode, before he became famous for his role in Twilight. 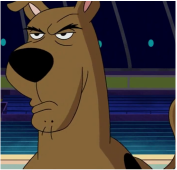 - In the flashback to Velma's childhood, the animation for A Pup Named Scooby-Doo is used. The only difference is that Daphne's sweater is shown to be purple, rather than the typical pink in was in the series. - Cougar Forest is a parody of professional golfer Tiger Woods. 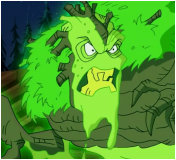 Shaggy and Scooby go solo to be camp counselors, and must find their own bravery to save the campers from a creature known as The Toxic Terror. 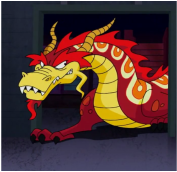 The gang goes to Hong Kong so Shaggy can get his rubber duck fixed by a toy store, but Shaggy is in grave danger after he sees a giant dragon steal a ring. - Director Chuck Sheetz is miscredited as "Chuck Sheets" in this episode. 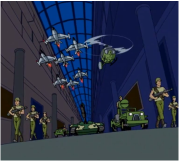 The gang visits the Secret Six at a U.S. Army base, where they are being trained for discipline, but the gang must rescue one of the puppies after a gold monster turns him to solid gold. 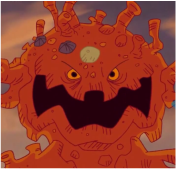 ​The gang enters a sand sculpture building competition, but when people start disappearing under the sand, and a coral creature appears, the gang must solve the mystery. 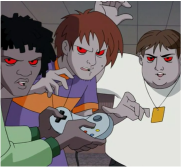 ​Velma wants nothing to do with the video game convention the rest of the gang is attending, but she ends up having to solve a mystery after video game creatures called the Osomons begin attacking the convention, and people begin turning into creepy zoned-out zombies. 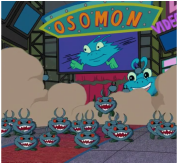 - Daphne's shoe turns purple when she is carried away by the Osomons. - This episode was originally scheduled to air on April 23, 2005, which would have concluded the series a year early. 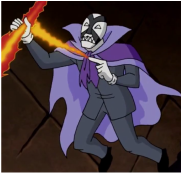 However, it was pre-empted last minute for Mucha Lucha, and What's New, Scooby-Doo? was completely removed from the schedule for a full year. 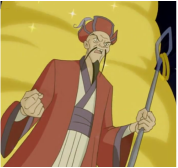 The episode finally aired nearly a year and a half later, on July 21, 2006.